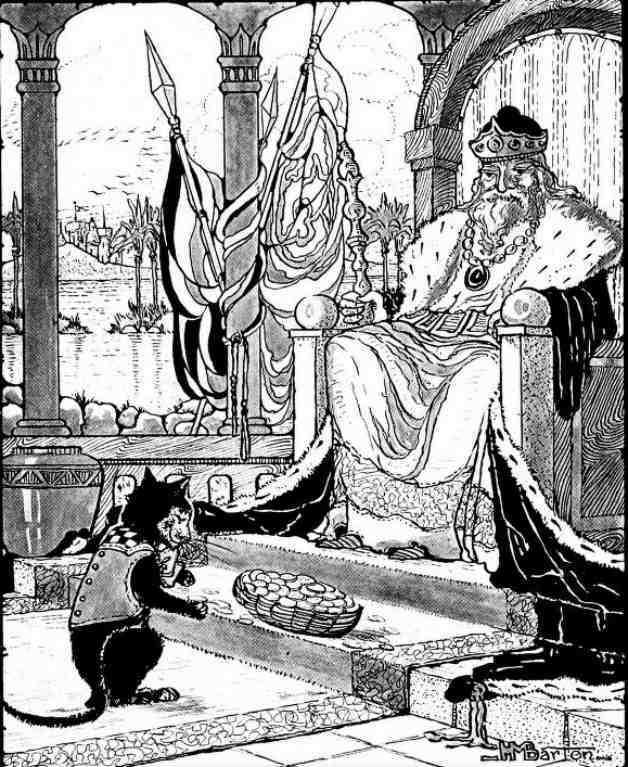 “The next day, the cat dug up pieces of gold and carried them to the king.” Illustration by ….. Published in Tales of Giants from Brazil by Elsie Spicer Eells (1918), Dodd, Mead and Company. Read Brazilian fairy tales collected from authors Elsie Spicer Eells and Andrew Lang. Jump to full list of Brazilian tales. About: Brazilian folklore are the artifacts of a culture that have been passed down from elders to the young, with stories retold countless times. The stories include myths, legends and folk tales from Brazil. Brazilian folk tales represent the people, places and beliefs of the culture, and are a patchwork of things including deities, spirits, and more. People of Brazil include indigenous people, Portuguese, and other settlers. When these stories were passed down, Brazil’s population was diverse, with the traditions of Africa, South America, Portugal, and other areas from which individuals might have traveled. This “melting pot” atmosphere contributed to many of Brazil’s traditions, including folklore. Reading these Brazilian folklore stories, you’ll see that many of them are origin stories, explaining how the night was formed or how an animal got their coloring. Elsie Spicer Eells was a popular American writer, who traveled to several countries collecting folklore and stories for children, which she then published. Her collections of Brazilian folklore include Fairy Tales from Brazil and Tales of Giants from Brazil. Andrew Lang, a Scottish poet, and lover of fairy stories collected tales from around the world, including Brazil, and published them in his Rainbow Fairy Books.